Cows can do every bit as well on brush as goats. How do I know? I have experience using both for managing vegetation. And this week Dave Pratt tells us how to figure out how much to charge for prescribed grazing services to manage vegetation. He hints that livestock besides goats could be good tools for this. He’s right! 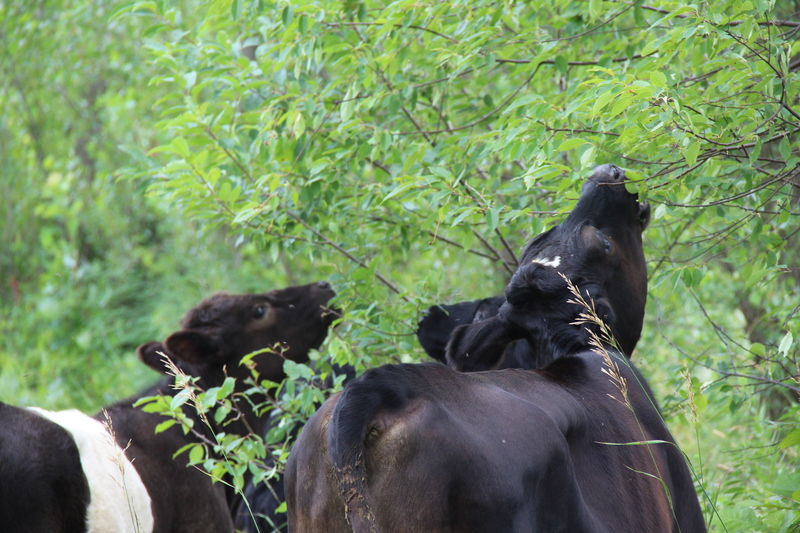 So here’s an article from 2013 about using cattle for brush and vegetation management. But goats aren’t for everybody, and when I couldn’t convince western ranchers to use goats for weed control, I decided to teach the cows to eat them instead. The cows showed me they could eat weeds with just a little bit of training, and then one day in California at the Nicasio Native Grass Ranch the cows showed me something else. They showed me that they could do every bit as good a job on brush clearing as my goats ever did. 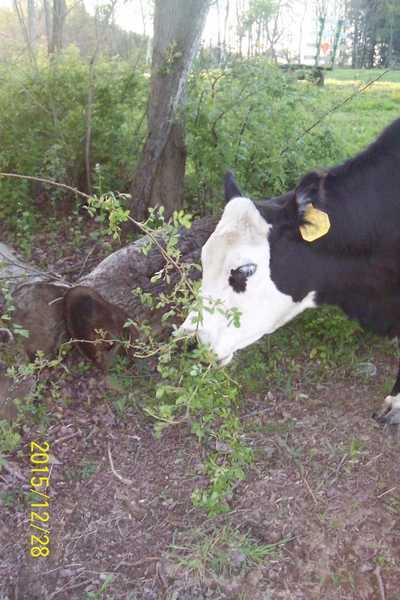 This is a photo courtesy of “Ohio Dave” on a Cattle Today Forum showing one of his cows eating multiflora rose. When things you see with your own eyes are contrary to what you’ve been taught, it’s time to take another look. So I’ve looked into cows as “browsers” or as animals that at least include brushy species in their diets. I have pictures of my trainees eating wild rose, willow, ash, and squaw bush. I worked with West Virginia and New York farmers to help them teach their cattle to eat multiflora rose. (See an article on training cows to eat this plant here.) A longhorn producer sent me pictures of his cattle eating blackberry bushes, and a Utah State researcher sent me a picture of a cow eating mesquite in Mexico. If one cow can do it, every cow can, and if yours aren’t, all they need is a little of the training I use to teach cows to eat weeds. This photo is courtesy of Savanna Gardens. When they put their herd in a woody pasture, they expected the cattle to eat the grass first. In their blog they write “After a few days, I couldn’t tell they’d even touched one blade of grass. Instead, they went through and ate basswood and grape leaves first! I never realized how much cows love grape leaves until witnessing them taking out entire swaths of grape before touching the surrounding grass. So, brush is nutritious, and cattle eat it. Here’s some more good news. Brush species are almost a miracle forage. They leaf out and reproduce even during drought, put up shoots, and drop millions of seeds that can stay viable for 20 years or more, and many respond to fire and mowing by growing even faster. You might have thought those were problems before, because you were trying to grow pasture for your cattle and thought you had to battle brush. But maybe now you might look at it a little differently. Besides, brush is good for wildlife and a Texas study found that one acre of “thicket” could offset the carbon produced by a car driving 26,000 miles in a year, giving us a couple more reasons to consider making it a part of our overall pasture plan. Should we focus more on “other vegetation?” It’s just a thought. The National Grazing Lands Conference is scheduled for December 2 – 5, 2018 in Reno, Nevada. It’s one of the best conferences we’ve ever been to, so you’ll want to be there! I have seen cows do considerable damage to areas of brush when they were first introduced there. A former Ontario Min of Ag pasture specialist, Jack Kyle, advised students in my Pasture Management course to use cattle to clean out brush from an area that they want to turn into horse pasture. Deb Bennet of California, who wrote a lot about horse evolution and plants that are toxic to horses showed a photo of a horse browsing happily on a black walnut tree (which is supposed to be highly toxic), where there was plenty of grass available. I guess we should not be surprised when we come across something new! Thanks for bringing our attention to this article. It caused me to search for more information about common ragweed. 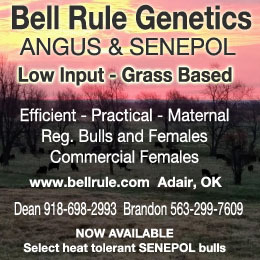 Our cattle eat it, but only seem to take the tops. The ragweed is so thick this year that I was beginning to consider brush hogging it to let more light to the grasses. 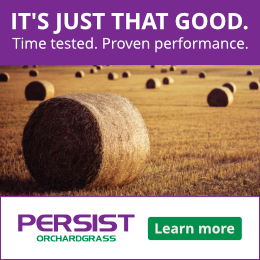 After reading this http://onpasture.com/2014/04/21/is-ranchers-success-against-ragweed-really-a-win/ I’m re-thinking that thought. We have some raw milk cows and beef and they have grass pasture with hedge rows and they complety keep the hedge rows open and because they are 100% grass fed I believe the leaves on the different varieties of trees and brush provide nutrients they don’t get from the grass and as the Vet says (once or twice a year)it’s hard to believe you feed no grain. Artifical breeding 96% first service. In some areas this could make the difference between “just making it” and becoming profitable.